As a football fan, do you expect referees to call matches consistently? Most would answer that question strongly in the affirmative without a second thought. They should spare a moment to think again. Although they'll loudly claim the contrary, most fans do not expect match officials to call games consistently. In fact, they demand quite the opposite. Think back for a moment to Michael Oliver's call in the Champions League quarterfinal match last season between Real Madrid and Juventus. He awarded a penalty to the Merengues in the dying minutes when the Zebras' Medhi Benatia wrapped himself around Lucas Vazquez from behind, kicking the winger in the ribs in an effort to reach the ball and deny him a shot on goal from point-blank range. WWE aside, it was a stone-cold penalty. 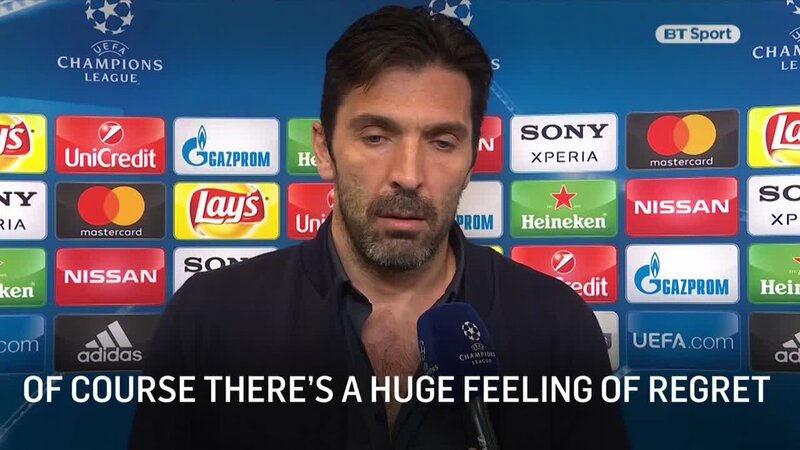 Yet, Juve keeper Gianluigi Buffon went off the deep end and, to varying degrees, most fans agreed with him. In a rant that rather distastefully called out Oliver's wife, who is also an official, Gigi claimed that whether or not Benatia committed a foul, no referee has any business awarding a penalty that late, especially in such a high-stakes match. The mountain of abuse heaped on the Olivers via social media in the aftermath revealed how many fans agreed. Even those who think Benatia left Oliver little choice in the matter find it regrettable that a match official had to intervene at that moment. “I am extremely sorry about that, as over 23 years of Champions League career, I was never sent off or suspended, so I feel that I behaved fairly & in a sporting manner with everyone." Face it. We all want games to be decided by players, which amounts to a tacit understanding that officiating standards should fluctuate depending on the point in and relative importance of a given match. In addition, the fear that video-assisted referees will leave the men on the pitch with even less discretion is a major factor in most people's aversion to VAR. It's also the fuel that fires our hatred for diving. As with officiating, fans suffer from the illusion they want more goals when, in truth, they don't. They despise players who go down too easily. Dishonest is the word most commonly used. Because society functions at least partially on the artificial notion of property and possession, we instinctively support the right to protect what's ours. Never mind that nature doesn't distinguish between the thief and owner. Whoever is fittest survives the conflict. That's how football works, too, even if we think it should be more civilised. Nations and football each have rules but both the laws of the land and the game are kept in envelopes that citizens and players continually push. Simultaneously, we romanticise the quick, sly thief and label as justice the brutal tactics applied to prevent his thievery. The problem is justice is also an artificial notion that works for communal living but not Darwinian football. In last season's Champions League final, sentiment dictated that vilifying Sergio Ramos for the judo takedown that separated Mo Salah's shoulder and forced the 48-goal man from the match was going too far. Happening 'in the heat of the moment' it was assuredly 'unintentional'. Similarly, his sly elbow to Loris Karius' head was adjudged to be within acceptable norms since the referee didn't catch it. Because we confuse football with society, dealing out pain and punishment with impunity to unwelcome guests is tolerable but feigning contact or injury to draw a favourable call from the official is dishonest and a scourge to the game. We don't get up in arms about cynical midfielders and defenders bringing down players to halt a counterattack and allow their team to recover its defensive shape at the negligible cost of a yellow card. If we insisted those calls received harsher punishment, such tactics would end and we'd delight in a few more goals. Instead, we completely empathise with the defender's desire to protect his own. At the moment, Mo Salah's pain and suffering in Kyiv is forgotten. The Egyptian is condemned for simulation when he goes down under duress that would not fit the legal definition for assault with intent to cause bodily harm. He is too talented, the rhetoric goes. He needn't trick the referees. We ignore that the men in black typically put the whistle away in critical situations. They let niggly fouls go inside the box that they routinely call elsewhere to avoid 'influencing' the match. Except not making the call influences the match as much as blowing the whistle and pointing to the spot. It awards willful violence the same status as technical brilliance. Turning a blind eye isn't lost on defenders. They know they can take certain liberties and do. In turn, the striker understands the referee will not protect him unless a line is crossed. 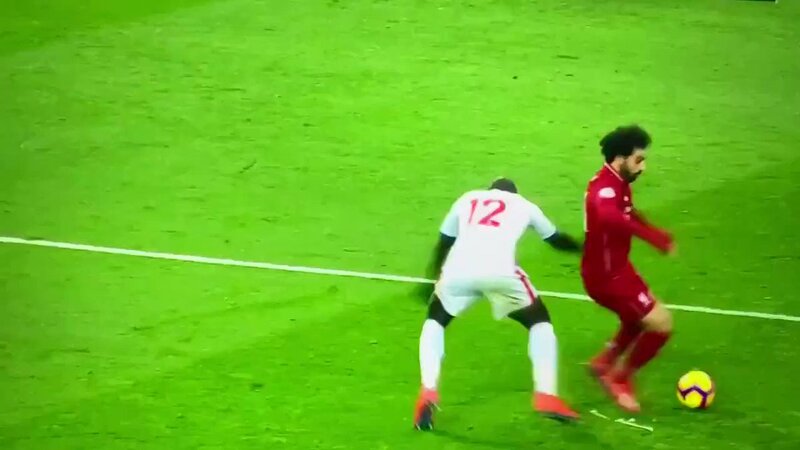 The only way to preserve his wellbeing while achieving his aim is forcing defenders to think twice by tumbling awkwardly to the turf in the hope the referee buys the act. In so doing, the striker does more than [possibly] earn a penalty. He creates time and space for himself in the future. It's no different than a child trying to escape an older sibling's abuse by crying out for their mum. If one form of gamesmanship is acceptable, the other should be as well. It's how the balance between skill and industry is kept. It's how nature works. Football strays when it tries to be a civilised exercise in determining natural order. That said, football will undergo a severe climate and political change when VAR comes into universal effect. With video clearly demonstrating contact [or the lack] officials will be forced to point to the spot more frequently. After a painful adjustment period, defenders will learn where the new line is drawn. In the same fashion, attackers will decipher when they can get away with going down and when they can't. The game will evolve and justice may be served. Regardless of the changes that take place, it's foolish to think simulation can be stopped without eradicating cynicism. Rats have to eat. People don't want them in their larder. The difference between rats and strikers is that fans keep saying they want Mo Salah and his cohorts to score more cheese. Make up your minds.